There are hundreds of exceptional artworks adorning the stands at TEFAF Maastricht this year. Everyone will have their own favourites, but we urge any visitor to seek out these works, which happen to be some of ours. Thomas Marks selects his TEFAF Treasures. 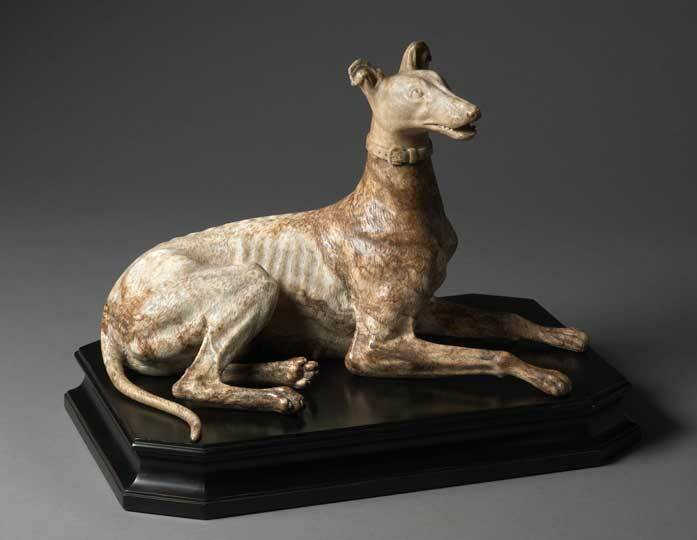 There’s a great tenderness to this alabaster: to how the artist has captured the greyhound shortly after she’s given birth, and is as attentive to the rigidity and protuberance of her ribcage as he is the softness of her dugs and belly. This dog seems utterly individual, in spite of the symbolic charge of its breed – a feeling that’s enhanced by the character of the stone itelf, with its dark pink veins and sworls. Among the highlights at one of my favourite stands at TEFAF 2015. 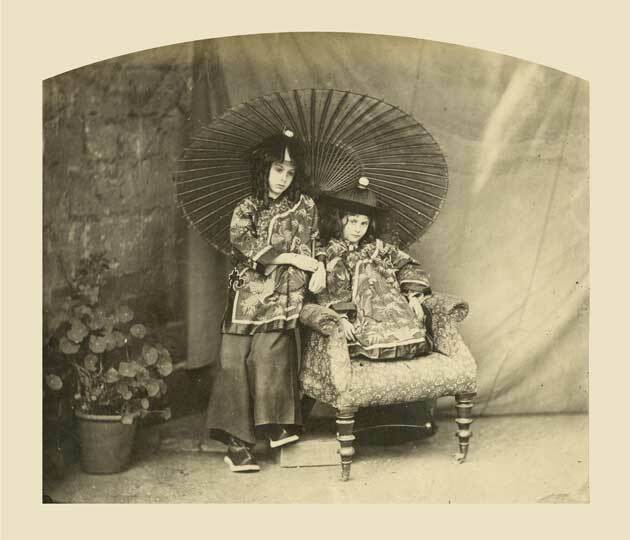 I love how staged this scene is, with the sheet draped behind the sitters and that block of wood that props up Lorina’s foot; and with the faint absurdity of the potted geranium, as well as the armchair that’s been wheeled out into the deanery garden at Christ Church. 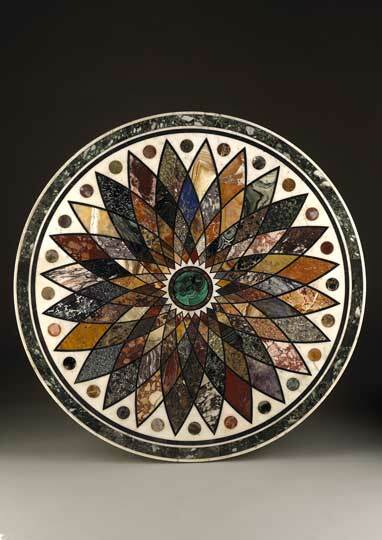 So visually beguiling: the quality of the inlaid marbles and their variety of contrast mean that this table top has a way of unfurling its mysteries the longer you scrutinise it. A hand-written catalogue, recording its 1831 purchase in Rome by John Kennedy-Erskine, provides a key to the stones and their geographical provenance, granting the piece a faintly instructional character alongside its decorative accomplishment. And how apt this is, given its date: geology has rarely if ever captured the public imagination as it did in the 1830s, as the radical ideas contained in Charles Lyell’s Principles of Geology (1830–33) began to take hold. You see more museum curators at TEFAF than at other art fairs, which means there’s more discussion here than elsewhere about which pieces ought to end up in museum collections. 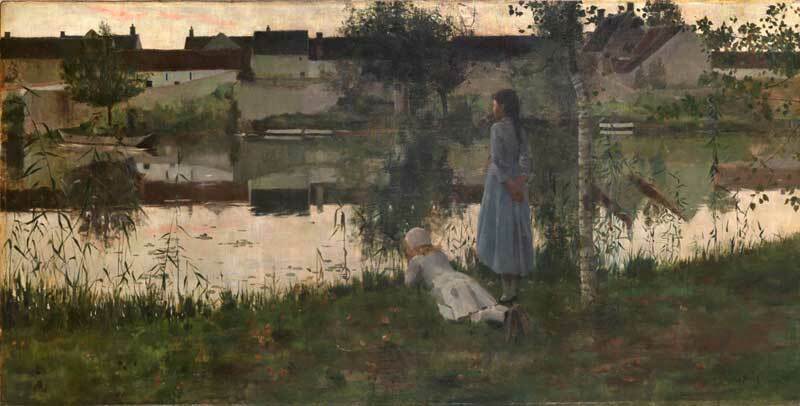 For me, this great work by Stott of Oldham deserves to hang in a British museum: it’s a scene that captures the odd luminosity of twilight through its masterful and sometimes audacious handling of paint, and it feels like an important reminder of how imaginatively some English artists took up the provocations of Impressionism. The painting may depict a backwater of sorts, but its artist ought not metaphorically to have become one. Part of an engrossing display at the Merrin Gallery stand, which brings together classical antiquities with works from near-Eastern, pre-Columbian and other ancient cultures. 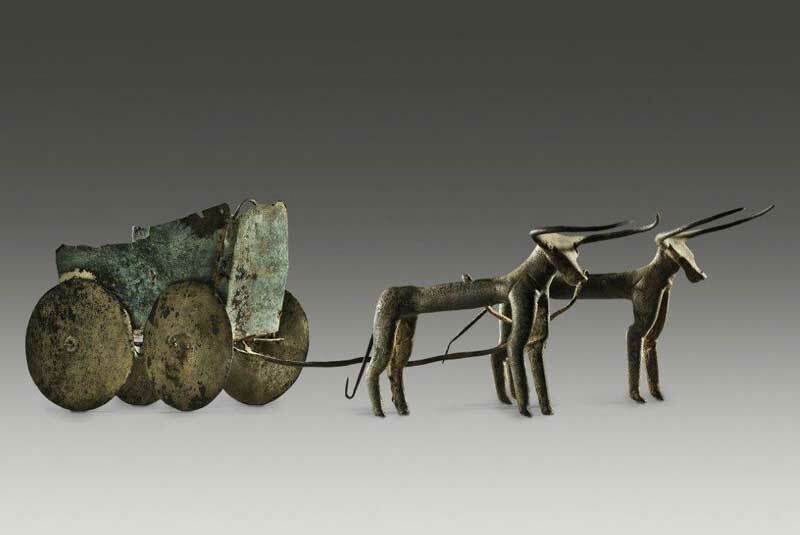 This chariot or cart was crafted in Bronze Age Anatolia, probably as a votive object for a tomb. But as so often with prehistoric artefacts, it’s the evocative character of the object that makes it so alluring. The miniature vehicle, with its wafer-thin wheels, seems like such a fragile survival; but the bulls drawing it are a pair of unexpectedly supple and graceful creatures. ‘I am the whole machinery of the clock’. So wrote A.W.N. 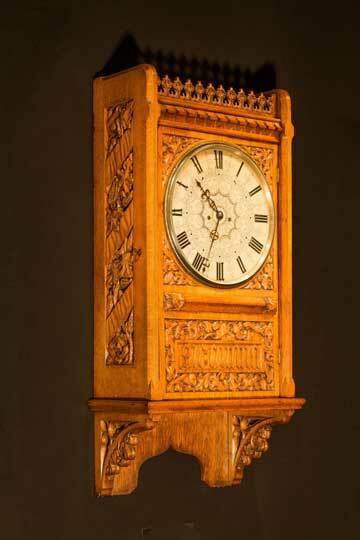 Pugin to John Hardman, as he set about designing the clock tower at the Houses of Parliament. This wall clock, probably designed for an interior at Westminster, may be on a more modest scale but its detail encapsulates Pugin’s restless imagination just as well: note how the foliage breaks into the diagonal bands on the side of the case, and the solitary acorn in the top-left spandrel above the dial. TEFAF Maastricht is at the Maastricht Exhibition & Congress Centre from 13–22 March. Beyond TEFAF: what else is there to see in the region this month? Can Iraq’s Antiquities be Saved? What is the extent of the damage in Iraq and is enough being done by the international community?